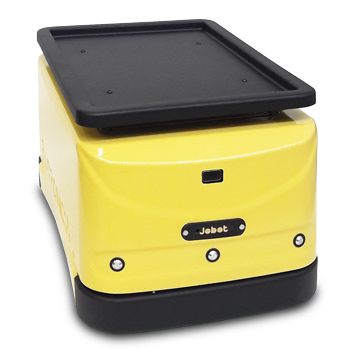 Jobot (www.jobot.it) is a low budget AGV, produced by Eutronica s.r.l. (www.eutronica.com) and designed to carry small loads in intralogistics applications. It does not require heavy changes in the working environment and it navigates through predefined routes between points of interests. In this project, Proxima Robotics s.r.l. took in charge the development of the on-board software, including but not limited to: mapping, localization, navigation, robot motion, recharge docking system, collision avoidance and mission management. NOTE: we reported just the public projects, there’s a lot more!